Course Description: This course enables students to develop their skills in producing and presenting art by introducing them to new ideas, materials, and processes for artistic exploration and experimentation. Students will apply the elements and principles of design when exploring the creative process. 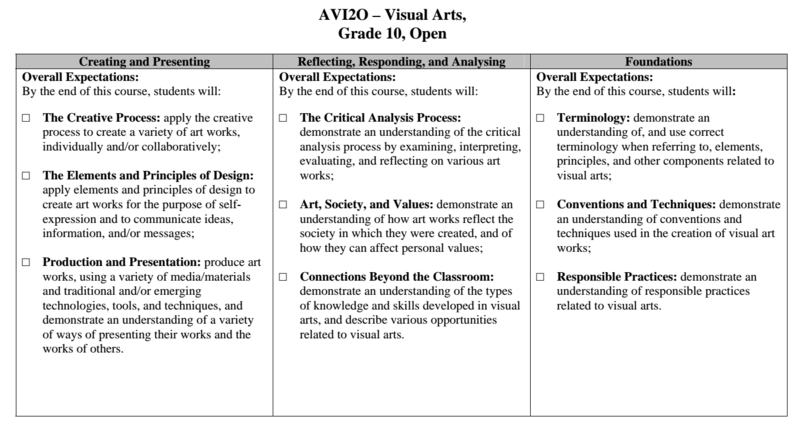 Students will use the critical analysis process to reflect on and interpret art within a personal, contemporary, and historical context. Students will investigate the history of Gargoyles in Art and complete a summative sculpture with a written portion that includes metacognition. They will select one historical gargoyle and identify the formal, expressive and technical qualities of the work. They will also identify sensory, formal, expressive, symbolic, and technical qualities in their own gargoyle sculpture and make specific connections to historical gargoyle studied.